Productionizing data science applications and services. 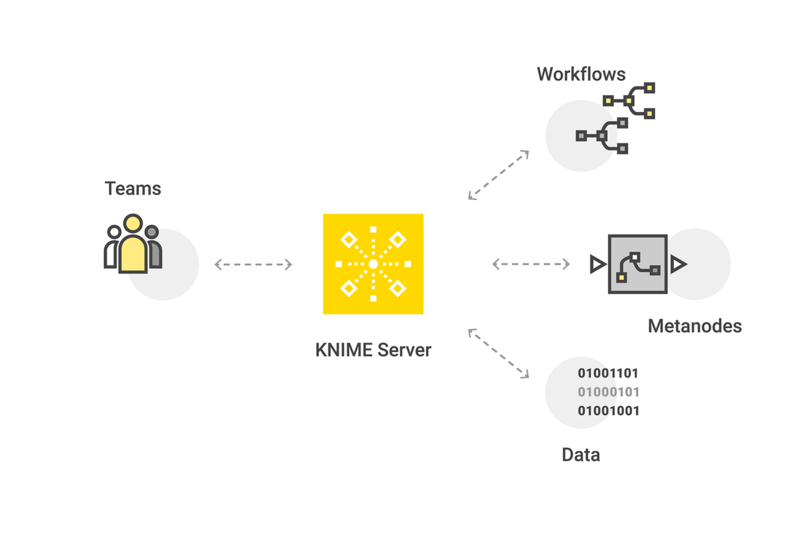 KNIME Server is the enterprise software for team based collaboration, automation, management, and deployment of data science workflows, data, and guided analytics. Non experts are given access to data science via KNIME WebPortal or can use REST APIs to integrate workflows as analytic services to applications and IoT systems. Share ​expertise and best practices by sharing data, metanodes, and workflows across your team and company. Comply with data protection policies through the control of access management at the data, workflow, and application levels. Reproduce data science by ​recording workflow revisions along with the data, enabling debugging, tracking, and auditing. Schedule workflows to run automatically ​and give yourself more time to focus on data science. Control workflows​ to automate model ​management​. Scale workflow execution via well provisioned, high performance server architecture which is configured to your specifications. Design, modify and execute workflows on KNIME Server using the Remote Workflow Editor and take advantage of well provisioned hardware in a secure environment. Bring complex data science to business analysts ​with WebPortal. Data scientists build and deploy a workflow to KNIME Server. End users interact with the workflow in the web in a controlled way and view results. Build and publish detailed reports ​which can be sent via email or accessed on demand from WebPortal. 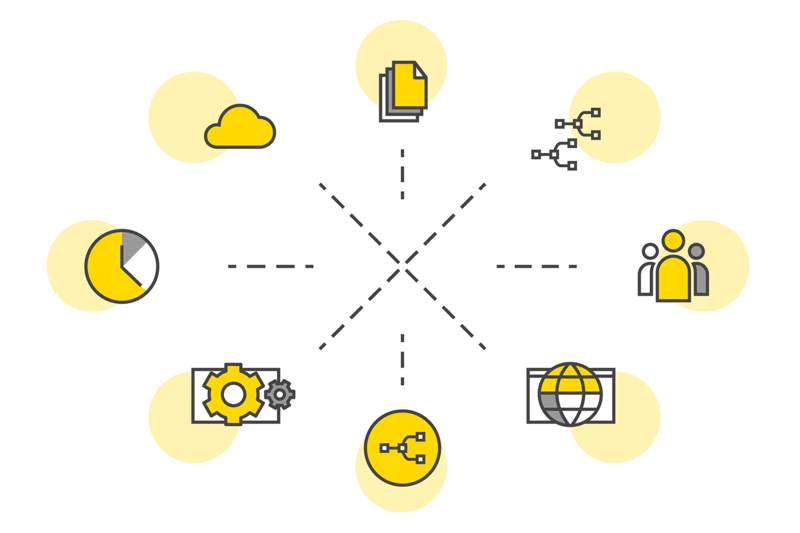 Deploy workflows as industry standard web services seamlessly from KNIME workflows via REST API, and build out your data science infrastructure. 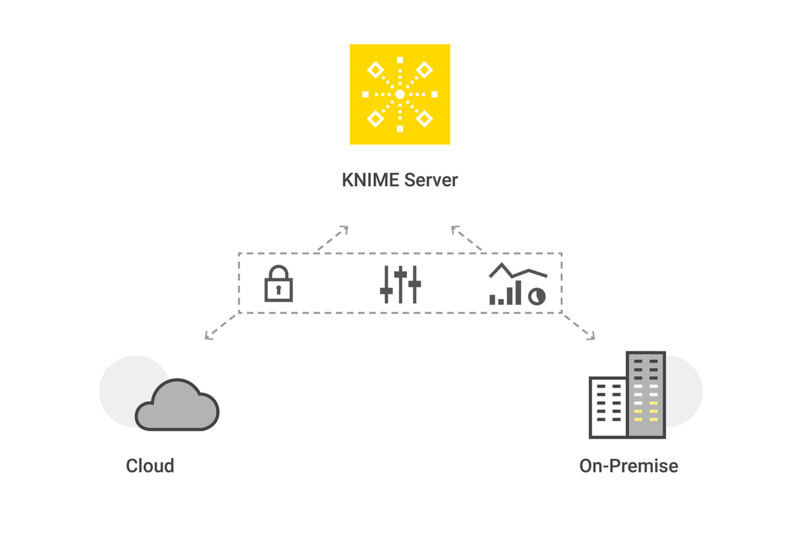 Host KNIME Server in your data center or in the cloud ​via Amazon AWS, Microsoft Azure, or the cloud provider of your choice. Integrate authentication ​with corporate LDAP / Active Directory setups and manage permissions. Monitor server activity and manage ongoing services in the AdminPortal. IT operations via central management of settings for multiple KNIME Analytics Platform installations. 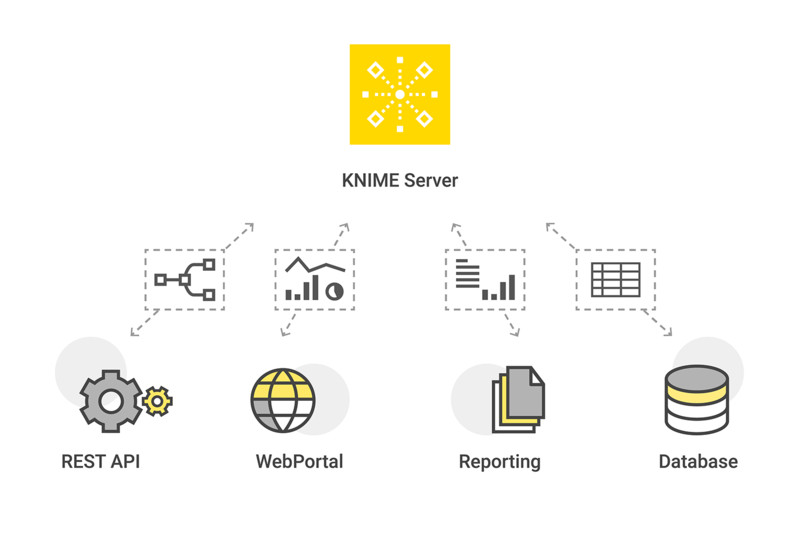 KNIME Analytics Platform and KNIME Server available on Amazon AWS and Microsoft Azure. Watch our latest webinar and learn more about sharing and deploying data science with KNIME Server. There are three editions of KNIME Server – see which one best suits your needs and budget. 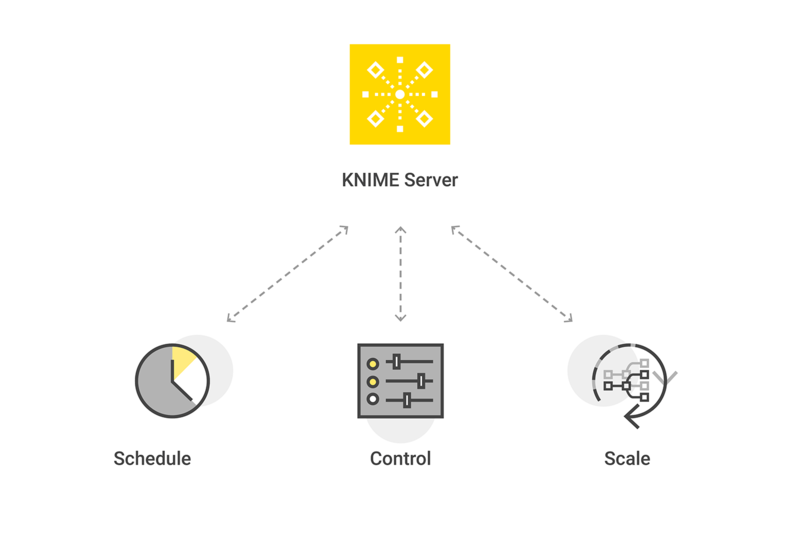 Read about the three different KNIME Server editions and features.